Lobsters and reef crabs are an important part of the coral reef ecosystem. Unfortunately large crustaceans taste good to people and the reef population is much smaller than it should be. To help balance the eco system it is important that we have as much biodiversity as possible. 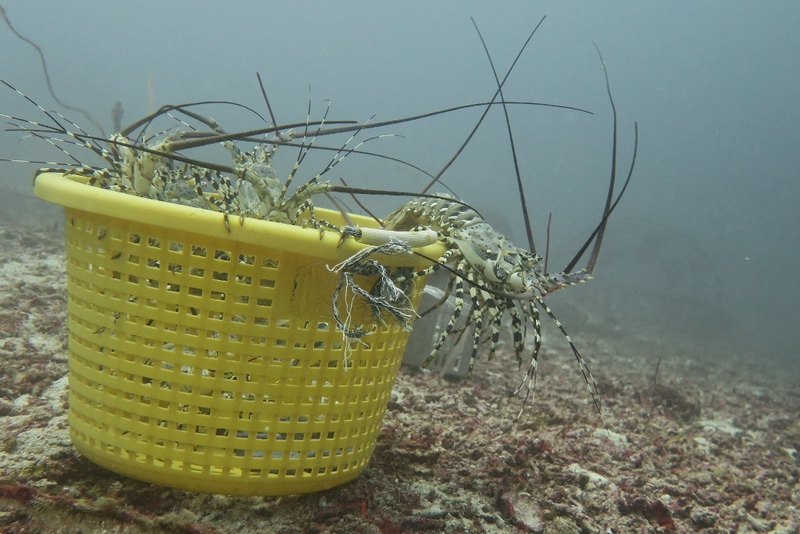 The role of lobsters in the ecology of a damaged reef is not well known but as major predators they clearly affect a wide range of prey, from starfish and clams to other crustaceans. There were a few lobsters on the island (surveys to 2016 counted 4 at 3 different places), this lobster release should increase the breeding population with dispersal of larvae over long distances. 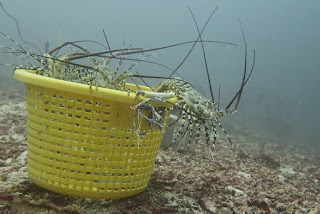 Unfortunately lobster biology is complex, larval lobsters live in the plankton for many months and so the lobster parent reef can be many thousands of kilometres from the reef where the juveniles settle. TRACC negotiated with a commercial lobster farm and managed to buy 12 lobsters for wholesale price. Long life on the reef rather than a quick boiling in a saucepan. The lobsters were moved to Pom Pom and released close to the lobster reefs and the deep tyre reefs. 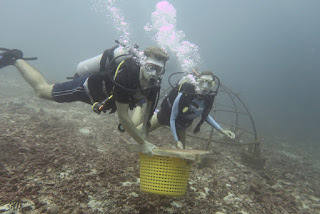 If visits to Tracc are not possible then please help with financial support for coral. shark or lobster rescue programmes. 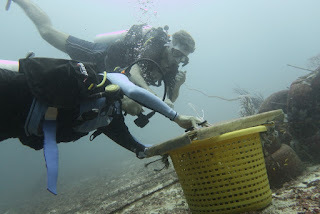 Please follow the TRACC marine conservation projects on Facebook.